Top shelf Manhattan. No shelf higher. 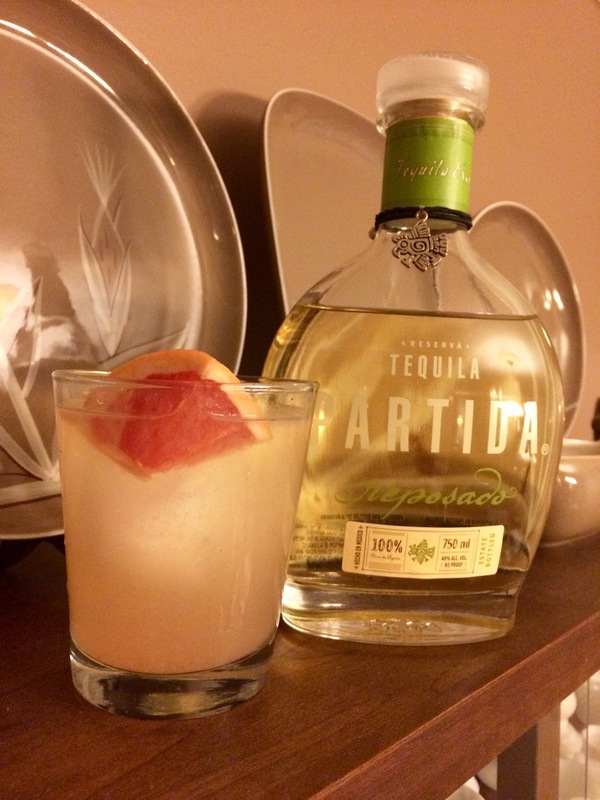 Paloma with Partida Reposado, which is truly outstanding Tequila. Sipped some while making this -- smooth as silk, sweet and spicy. Shake, pour over rocks glass with a big rock. Top with club soda, garnish with grapefruit slice. Whilst out recovering from cabin fever earlier this week in the latest Atlanta Snowmeggedon! and getting a bite (ok, a three course meal) and a cocktail or three at one of my favorite cocktail spots I found a new cocktail called the Late Harvest (WT101 rye, aquavit, peach, etc) had replaced a recent favorite, the Candler Park (Apple Brandy, rye, peach vermouth, amer picon, cola bitters). But I still worked in a bit of Apple Brandy with a new favorite called the Nassau Street (1:1:1 with apple brandy, Cynar and Punt e Mes vermouth with a couple of dashes of Paychaud's bitters) that they made for me. Also couldn't resist a new Cherry Martinez (gin, kirschwasser, cherry infused Lustau vermouth, Luxardo and bitters). More than I had originally intended to have but never enough! THX. We have a bottle of aquavit that only gets trotted out when events with relatives. The Late Harvest will get a try later this week. 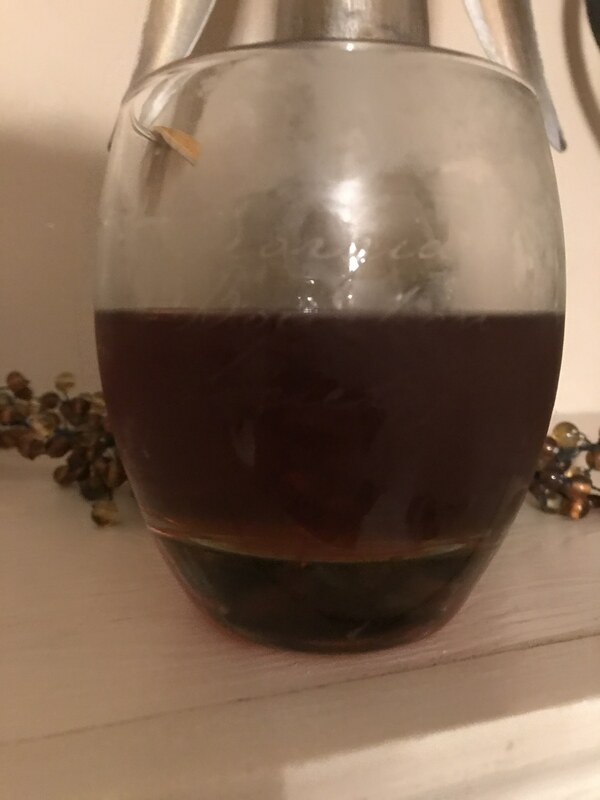 AND, we've been experimenting with apple brandy/cider cocktails ('tis the season) as well as working down our inventory of "odd" vermouths, amari, etc., we've accumulated over the last couple of years. In other words, all three of these will "fit". I do use M&R in Gin & It (2 London dry to one M&R room temp, over ice, shaken, or even batched - friend of ours who was a teenager during WW II said this was her neighborhood's basic drink in London during bombing raids as one could mix it in the dark while sitting in the Underground or premix and then pour until it hit the second knuckle). 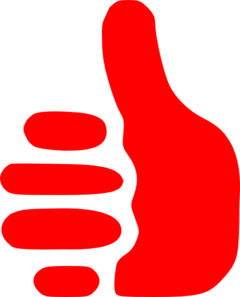 I decided to try the G&It, though I went Fr, as it was all I have at the moment...I do so admire the grit of the Brits. To hear this story of selecting cocktails in advance of a surely coming bombing, as well as taking into account the need for practicality needed during darkness speaks so much to all the things I adore about these people. 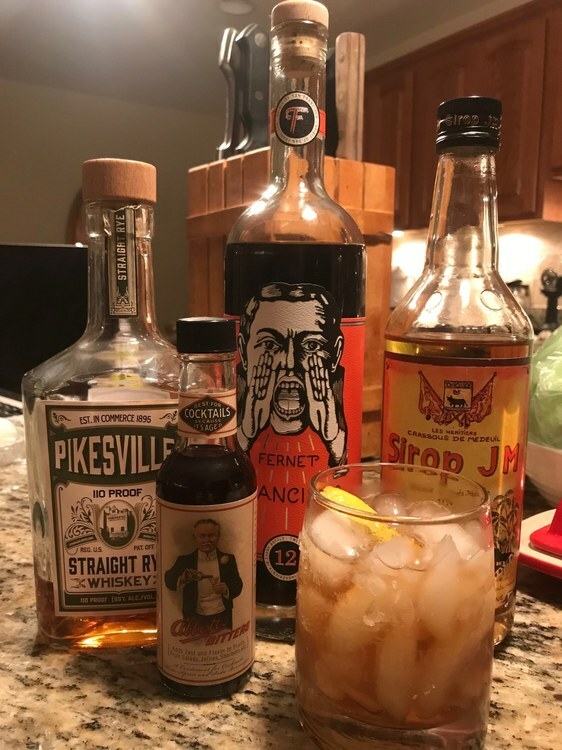 Don't recall the exact proportions but will try to get the recipe for their particular Late Harvest at my next opportunity (There are a few drinks that use this name but I am pretty sure this is an original recipe). They're in the habit of using a lot of house made variations of spirits in their cocktails which can sometimes make it tricky to duplicate. I do remember they were using Aalborg Aquavit and the WT101 rye. I admit you had me reaching for the googler on that one, and I think I'm going to have to find an opportunity to give it a try sometime. Took longer than intended but finally got the recipe for this cocktail. As is often the case for this particular bar some ingredients are a bit unusual or "homemade". 3/4 oz Cocchi Dopo Teatro - Like I said, they tend to use more unusual stuff! 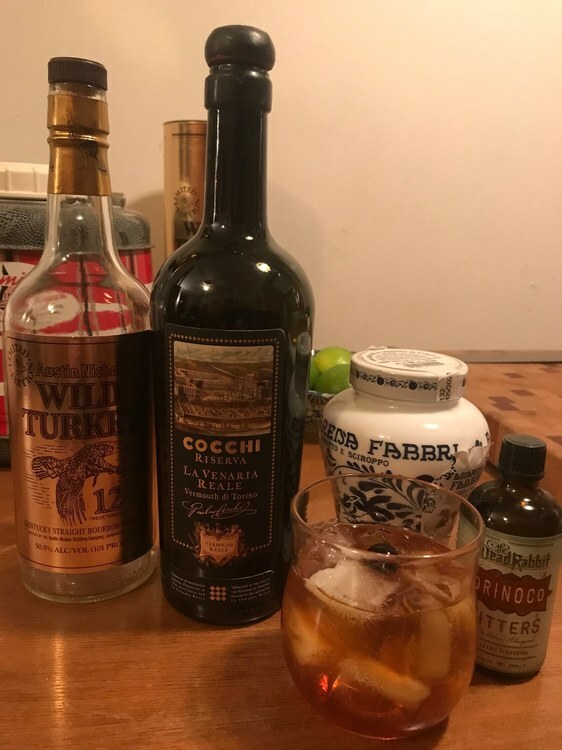 Regular Cocchi de Torino vermouth might work as well as it is made by the same company but it is perhaps a little less bitter oriented. Maybe Punt e Mes could also be a substitute. 1/2 oz of clarified pear juice - clarified juice typically requires several steps including using a centrifuge to remove essentially all sediment. And yes the bar does this as part of its prep! Since most of us don't have a centrifuge lying around you could try filtering it several time. Or just screw it and use regular old pear juice! 1/4 oz Bruto Americano - amazing, something not complicated! But not on everyone's shelf either. Stir with ice (I think, since the pear juice is clarified) and serve up! Probably had a twist but I didn't make a note of it and now I can't remember! Thanks, Bruce. I've always wanted a small centrifuge - ever since college chem. Now I have a reason to get one. Failing that, I'll "borrow" some of my wife's cheese-making and similar food prep equipment. Perhaps the filter set-up I use to get the bits out of my home-made gin will work. And, your Nassau Street was a hit. I used the last of my Laird's Bonded, and it worked just fine. That would be some serious dedication! But filtering will probably work just as well. I am also really liking the Nassau Street. Easy drink at home or in any decently stocked cocktail bar. Maybe Punt e Mes could also be a substitute. What about a Cappelletti Pasubio en lieu of the Cocchi Dopo Teatro? I've got an open bottle in the cooler that needs to be put to use very soon. The alpine base sounds like it might create a different flavor profile. I would have to try them together to have a better sense of how it might compare. But the only way to know for sure is to whip up a cocktail and give it a try! Thanks, I'll pick up some pear juice tomorrow and give it a go. I'll try a version with Maraska Kruskovac Pear Liqueur as well, just for the hell of it. Sounds interesting. 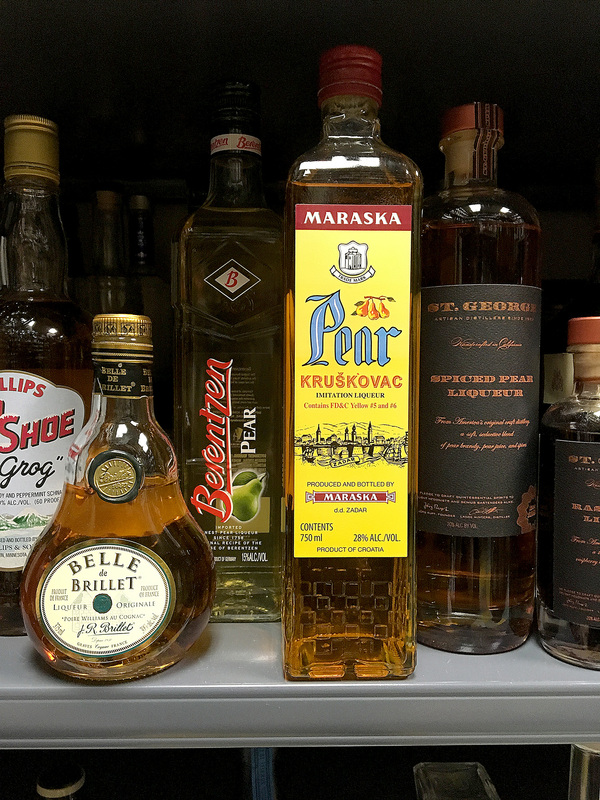 I wonder about the sweetness between the pear juice and the pear liqueur unless the Maraska is pretty sweet. Likely to make a somewhat different drink I would think. Similar to how their Maraschino compares to Luxardo, the Maraska Pear is not cloyingly sweet like Belle de Brillet et al. I think my bottling is rather old (like the attached), unlike the more common rounded version. I'll report back tomorrow. My memory failed me-- I guess my age is catching up to me. The Maraska is actually the most syrupy of the four pear liqueurs I have on hand. The Berentzen should do the trick, although the St. George Spiced Pear is super tasty. I should say courtesy of my Valentine, my wife. She's the one who PAID Wintersmith and GIFTED me the ice molds! We've used the cheaper plastic and silicone molds for years and this is a serious improvement. The ice is clearer and harder than the cheaper method. Now if I could just get her to gift me a bottle of her precious Weller 12, I'd be set! Can't get a picture that really captures the result but I'll keep drinking...and trying. Somewhere within the cocktail thread in general (maybe somewhere in the Cocktails 2017 thread. Or maybe not... ) I made a comment about a cocktail recipe that I thought would be a good one to bring to the Sampler. But I'll be damned if I can find it now! If anyone else happens to recall it, or has better searching skills than I do (a low bar to be sure but still), then I would appreciate being pointed to it! Would have certainly been within the last year and perhaps more like the last six months. Ha!! Funny you should mention that. I asked where the person who calls himself Troyce, put Troyce, yesterday at the BBBBQ. Plenty of free shirts, flasks, etc on Buffalo Trace table...and he took not ONE THING!!! Said he’s giving up grabbing free stuff... no f’n way that was Troyce. You mean.......gasp.......that the GBS has been compromised???????? WHAT'S HAPPENED TO OUR JIMMIE? Feel like I must have had one of these before. But I can't remember it. Very nice! If you like the Toronto you might like this somewhat more complicated riff on the drink. A little more dry/bitter without the simple syrup. Combine ingredients with ice, stir. 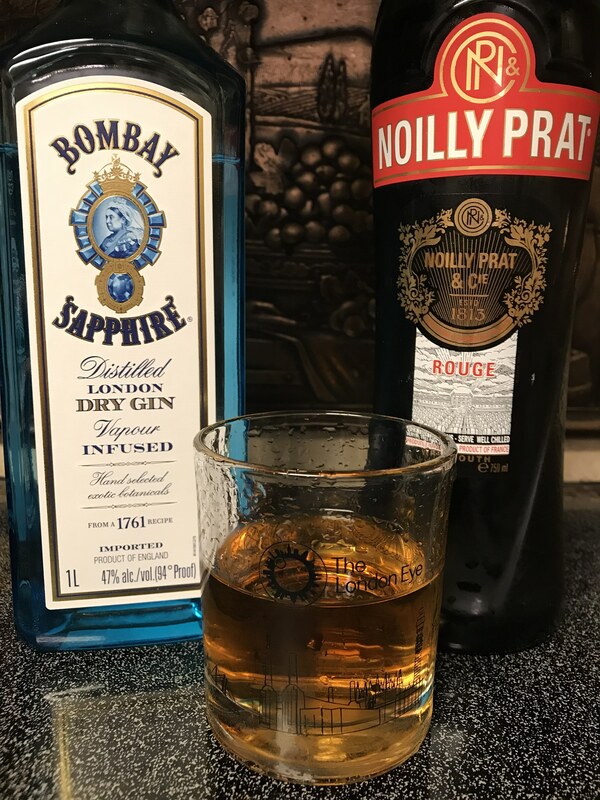 Strain into a cocktail coupe.